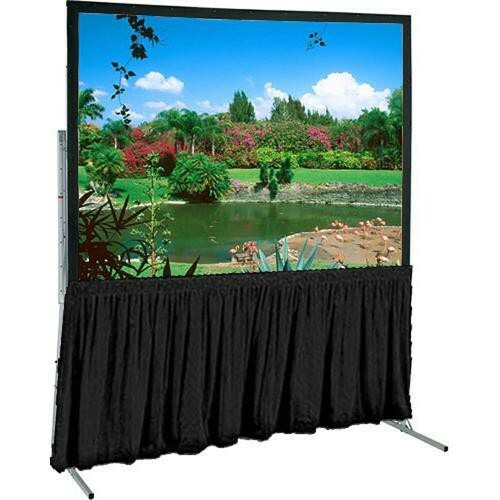 The Draper Dress Skirt for the 139x139" Ultimate Folding Projection Screen gives your show a more professional look by creating an attractive border on the bottom edge of your screen. The value of this is that it hides the hidden storage cases, cables and projection equipment which can be distracting to your audience. It also prevents irritating projection light, especially from a rear screen presentation, from spilling out into your audience and making viewing very uncomfortable. Box Dimensions (LxWxH) 29.0 x 10.0 x 8.0"